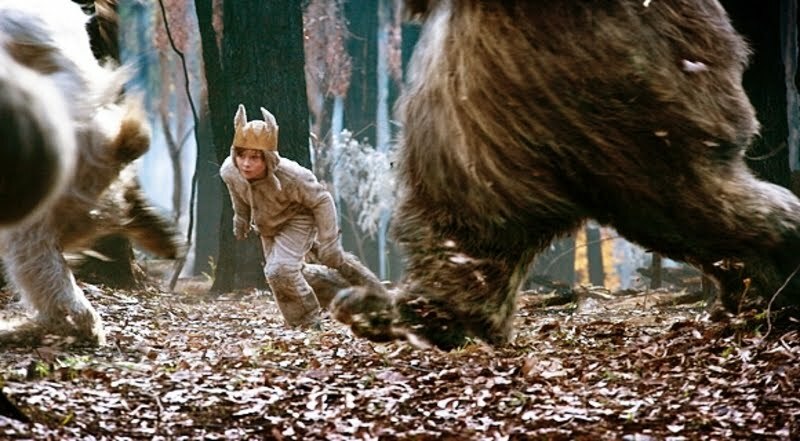 It’s hard to believe, but I don’t think I ever read the book Where the Wild Things Are when I was a kid. (Yes, I know. I had a deprived childhood. And I have since corrected this.) I can safely say that will not be the case when I have a son. 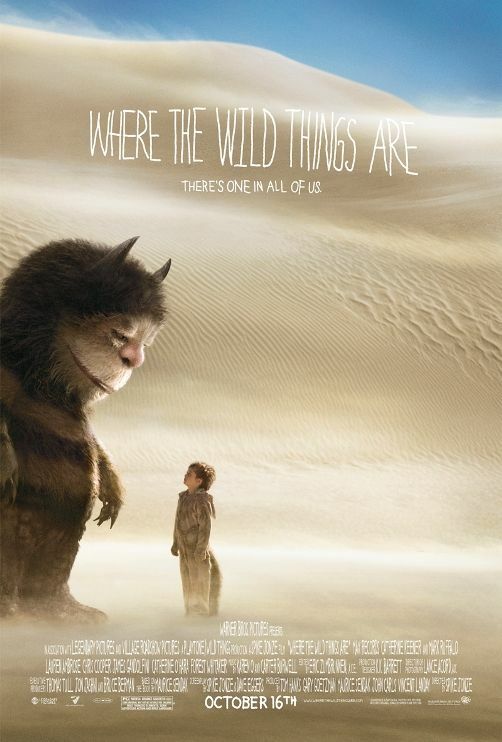 Nor will he be denied the pleasure of seeing the movie Where the Wild Things Are, Spike Jonze and Dave Eggers’ big-screen adaptation of the Maurice Sendak classic. The film is an often-beautiful one that is a real departure from most other children’s movies, and it’s well worth seeing. In fact, the older you are, the more you may appreciate it. In Wild Things, Max is a lonely boy with few (if any) friends. What he does have is an active imagination, a sense of adventure, and a hot temper. When he acts out one night and disrupts his mother’s date, she sends Max to his room, but he instead runs away and sails off in a boat, ending up on an island that’s home to a bunch of strange-looking “animals.” Max is appointed king and declares, “Let the wild rumpus start!” The island is a place where whatever you want to happen can happen, and Max finds himself at home among the creatures — especially Carol (voiced by Tony Soprano himself, James Gandolfini). 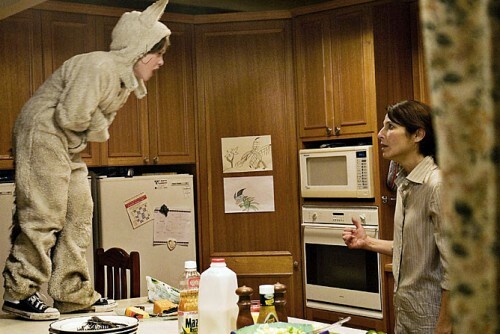 But of course, these Wild Things teach Max some valuable lessons and eventually he wants to go home. Yes, the movie expands on the book a lot, but Jonze and Eggers’ screenplay does so in a way that doesn’t feel padded, and it treats both its source material and the audience (those of all ages) with respect. There’s a wonderful scene where Max and Carol are walking in a desert landscape talking about how one day the sun will die. That’s not the kind of thing you see in typical children’s movies, and it’ll probably lead to a lot of difficult conversations when parents are taking their kids home. It helps that Gandolfini’s voice is modulated just right here; his performance overall is one of the movie’s best surprises. Max Records, who plays Max, is a great find. He captures the loneliness and adventure and imagination of the role, and isn’t cute or cloying. And even though he’s surrounded by creatures that look like overgrown Muppets, you believe it all, never once thinking they’re all puppets with people inside. The cinematography is good, the music (by Karen O) is alternately haunting and playful, and the other performances are just right too. Most refreshing, however, is how well Wild Things taps into the real emotions that so many children have, and by that, I mean it doesn’t treat them in a simple way. Who among us has not felt lonely or angry, or wanted to escape? Yes, those are themes common to many Disney films, but here, it’s heartbreaking watching Max at the beginning when his snow igloo is destroyed, and seeing how he deals with his anger — and how his mother deals with it too. No wonder Max wants to throw on a wolf costume and be something (or somewhere) else. 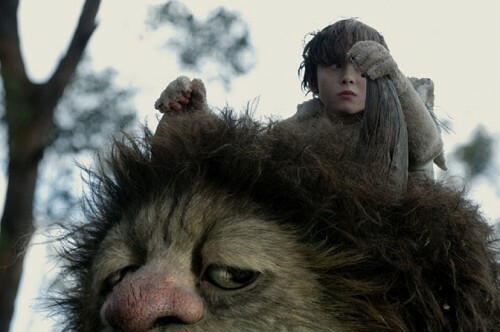 Where the Wild Things is an impressive film, a classic that deserves to be seen by children of all ages. I can’t wait to show it to my own. I’m giving Wild Things an A–.